If you are involved in a home improvement project that includes an upgrade of your home electrical service, you should consider the addition of a whole house surge protector. The power grid, as shown in Figure 1, is overloaded, power surges accompanied with brown outs are happening more frequently across North America and lightning strikes do millions of dollars of damage to home electrical products and major appliances each and every year. A lightning strike (Figure 2) as far as a mile away from your home can damage your appliances and other electrically powered products. Many home warrantees and insurance policies do not reimburse homeowners for damage caused by lightning, power surges or brownouts. 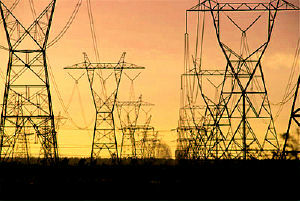 Product warrantees generally exclude lightning damage and damage from brownouts and power surges. Our homes are filled with all sorts of electrically powered devices and because of that, we have become more and more susceptible to electrical surges delivered over power, telephone, cable TV and satellite lines. Surge protection provided by power bars, UPS systems and other devices decreases in their ability to stop a power surge every time it is called upon to do so. Depending on the specific devise you are using to protect against power surges the protection capabilities can be reduced by as much as 50% with each occurrence. As an example, if the protection was a 100 percent for the first surge, it could be reduced to 50 percent on the second, 25 percent on the third, 12.5 percent on the forth and so on. Very few devices have indicators or other visual or audible warnings that they have actually stopped a surge from possibly damaging an electrical device and hence your ability to know when to replace any surge protection device is basically non-existent. It is not realistic to consider protecting all of your appliances, computer equipment and entertainment centers with individual power bars or UPS systems. Power bars are not even available to protect appliances such as washing machines, dryers, and stoves because of their large power requirements. As well, having power bars sitting on your kitchen counter to protect countertop appliances is not realistic. Whole house surge protectors , as shown in Figure 3, are now available from numerous electrical manufacturers. Mounted on the incoming legs of the power feed, after the meter, they provide complete surge protection for all of the electrically powered items in a home or business. Their capabilities are more advanced then power bars. By providing an indication of when they have diverted a surge from your home to ground, they can also determine if they are capable of diverting the next surge. Written guarantees are being provided by some of the manufacturers, that provide for repair or replacement of any item damaged by a surge that bypassed their device. When investigating whole house surge protection you should consider the devices that provide surge protection for all incoming lines including cable TV and telephone. Whole house surge protection also protects against lightning strikes that are picked up by any incoming wires, providing you have purchased the option for cable TV and telephone connections. 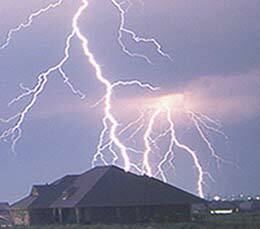 Put the worry of power surges behind you and invest in a whole house surge protection device. Consider the expense as an insurance policy! Additional information on buying surge protectors. 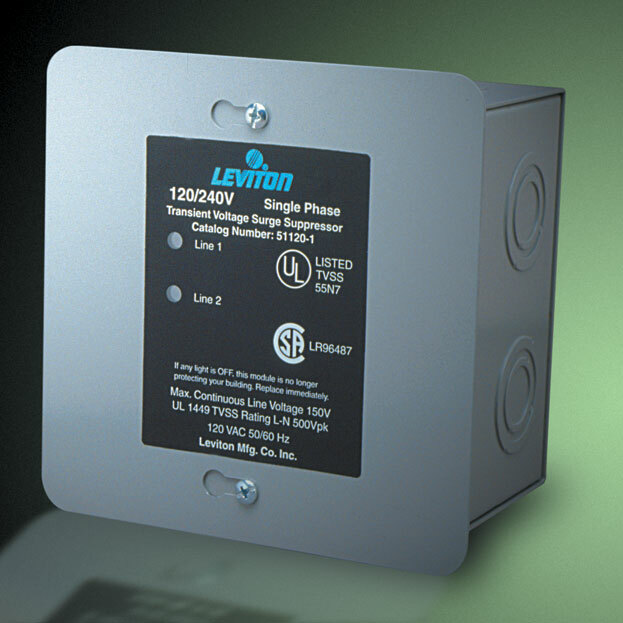 Other types and styles of surge suppressors.